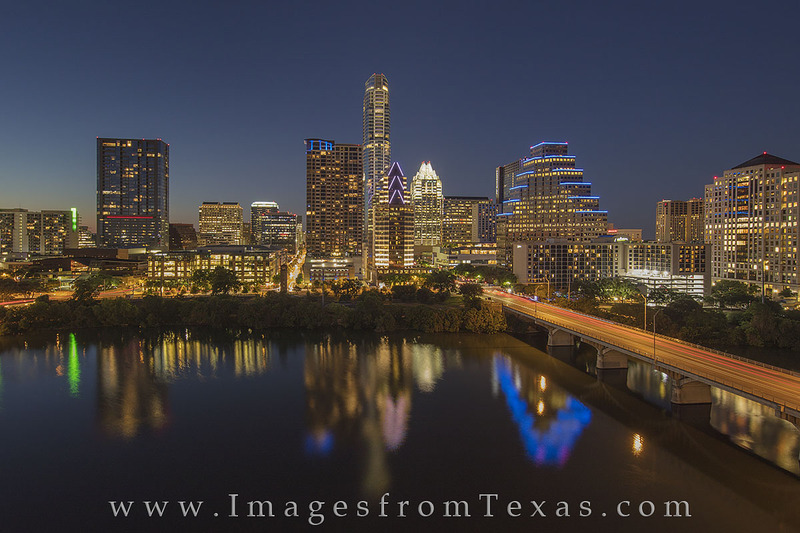 This view of downtown Austin, Texas, comes from the top floor of the Hyatt Hotel just south of Lady Bird Lake. A clear, calm evening allowed beautiful reflections of some of the more well known high rises, including the Austonian (the tallest), the Frost Tower, and 100 Congress. Photo © copyright by Rob Greebon.